Baseball is one of America’s favorite pastime. So, what could be better than sitting in the sun, drinking beers and eating good food with your friends, and watching the game. 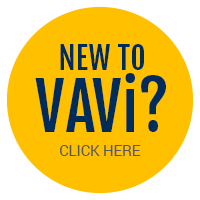 Well, we at VAVi can make this experience even better. You get access to the Pre-Party at The Deck at Moonshine Flats with a FREE drink ticket included. It’s also conveniently right across the street from Petco Park. Enjoy good music, games, and the chance to win giveaways. After the game you can head over to The Deck for VIP entrance to the after party. No other site offers you exclusive seating, a free drink, or access to the best Pre-game. There is not better way than to start the day off on a good note by celebrating one of the best weekends in baseball with the VAVi Squad. Plus you’ll end up saving yourself some money by avoiding an expensive Uber drive to the stadium when everyone is heading to the same place. Arrive early, enjoy some drinks, and party with VAVi. I promise it will be a home run!